The Star Wars Ultimate Galactic Hunt 2006 is a celebration in product spanning the nearly 30-year history of Star Wars action figures, including a very special tribute to the architect of the Star Wars universe himself ? George Lucas. The Ultimate Galactic Hunt (UGH) collection will include three types of toys that will land on shelf beginning approximately May 1st 2006: 3.75-Inch Vintage Figures, Exclusives, and 3.75-inch Basic Figures with Foil Package (chase variations). 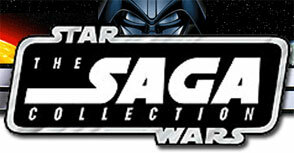 All products participating in the Star Wars Ultimate Galactic Hunt 2006 will have a special foil sticker featuring the UGH logo.